These describe the various partitions on the disk: where they start, how big they are, what type they are. 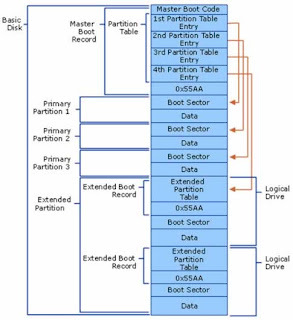 The MBR contains a partition table. 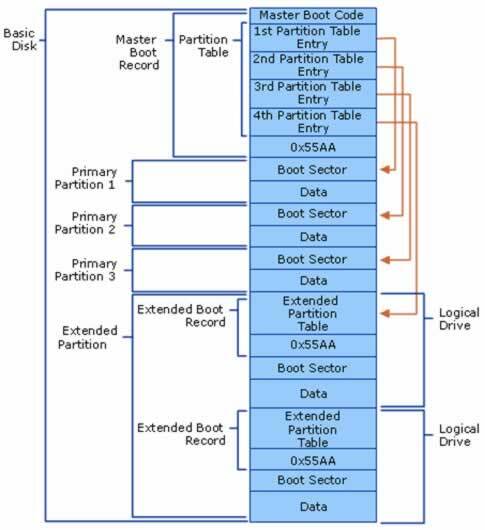 If Dynamic disks are used the partition table explanation as described here does not apply anymore. What is Mac OS HFS+ format ? What is FAT and NTFS ? What is a Sector and a Bad Sector ?